An effective reputation management for hotels program includes doing everything possible to encourage guests to leave positive reviews, but it also involves creating an internal culture of reputation management. 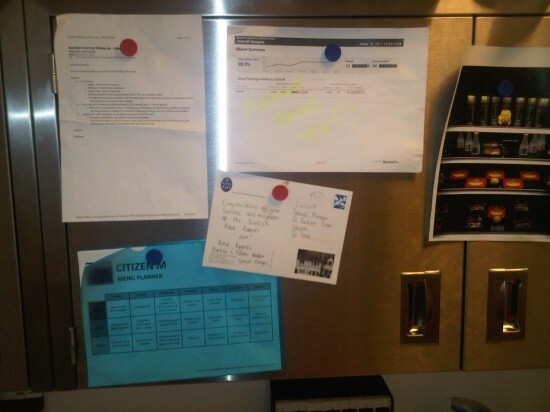 Here, we explore how this process works at citizenM. Encouraging more online guest reviews is a challenge for many hotels, but citizenM uses a system that works very well with their clientele. Each of their three properties receives many more guest reviews than the average hotel. The company has developed a standardized procedure for use during the checkout process. 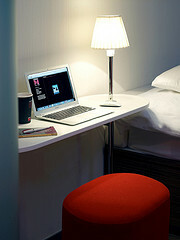 Like many hotels, citizenM staff, called Ambassadors, ask guests how they enjoyed their stay as they are checking out. If there was any issue, direct communication with a manager is encouraged for prompt resolution. But if the person had a good experience, they are asked to share their thoughts on TripAdvisor. Unlike many hotels, the invoice is sent automatically by email, providing one more touchpoint and opportunity to ask for a review. This followup reminder significantly increases the reviews received, since many travelers forget to post a review immediately after the stay. “We don’t respond every single review” said Diego. “If a guest wants to communicate with you, they will contact you directly.” At the same time, if something is posted that is negative or that requires explanation, the citizenM team makes sure to respond and tell their side of the story. “If someone complains that something doesn’t work – alarm, WiFi, etc – it is important to recognize that, apologize, and give an explanation for what happened. Just as things break in your own house, things will break at a hotel, even though we work hard to prevent from happening.” Effective reputation management requires an understanding of this reality, and the knowledge of how to respond in a satisfactory manner. CitizenM goes a step further. Right now, the company is planning to use the Global Review Indextm (GRI) from ReviewPro to run an internal competition among their three hotels. “We try to keep the GRI above 90% at all times. So this new program will be like a game among the staff at our properties: who can deliver the best service?” Constant innovation is a critical component of citizenM, and these internal competitions will help them continuously improve. Perhaps the most remarkable indicator that citizenM takes online reputation seriously is that reputation scoring affects employee pay. 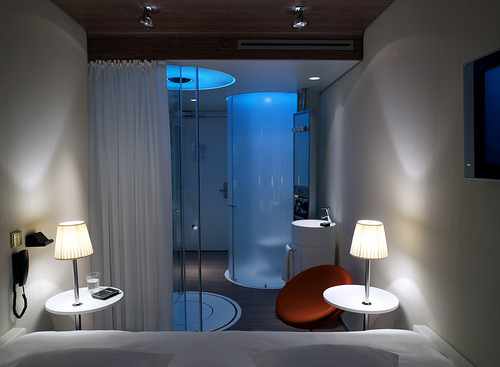 A percentage of the salary citizenM hotel staff receive is tied to guest satisfaction. The way an organization configures its compensation scheme reflects what is important to them, and it’s clear citizenM is making online reputation a top priority. It’s interesting to watch how the citizenM team involves everyone within the organization, since this is how I see social media participation evolving with time. 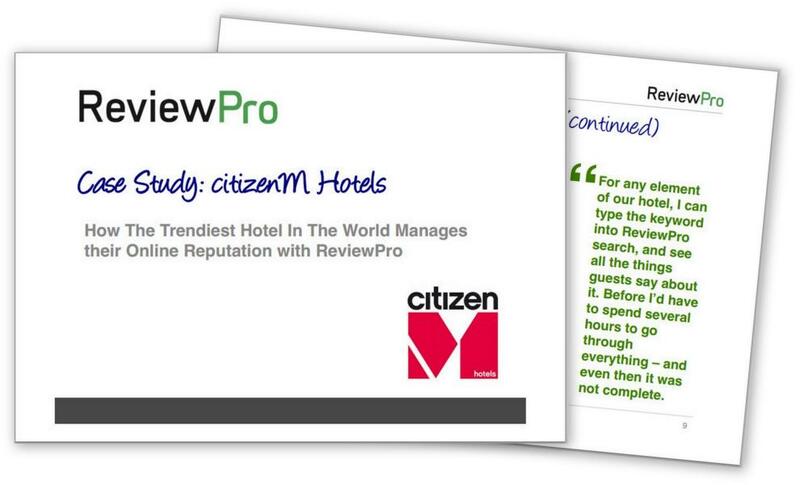 In the final installment of this case study, we’ll look at why citizenM chose ReviewPro to manage their online reputation….